We got a small group together to watch the Academy Awards, including Sharon's brother Tom, Eric, Erin and Janie (with Pippen). Sharon made a great dinner of Peruvian Chicken and rice. Jimmy Kimmel was the host. Over the last four years, Sharon and I have worked in December, January and February to see as many of the nominated films as possible. 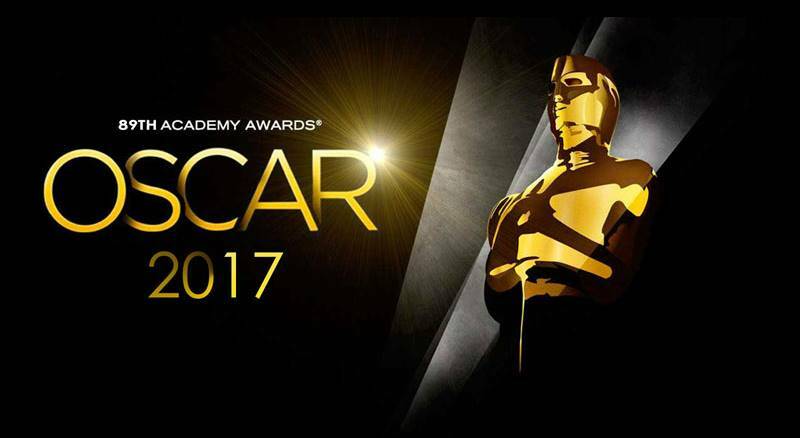 This year, we saw all nine of the films nominated for Best Picture and 12 of the 15 films in the five major categories. 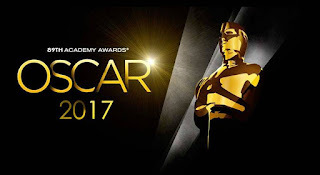 Last year, I ended up picking four of five, including getting best picture, best actor, best actress and supporting actress right, but missing on supporting actor. This year, I also ended up picking four of five, including getting best actor, best actress, supporting actor and supporting actress right, but missing on best picture. I had picked La La Land as best picture. Initially, I thought I had gotten it right before bedlam broke loose on the stage. Given Sharon's love of La La Land, she was particularly surprised at the turn of events. Personally, I was also startled. I ranked Moonlight near the bottom of the nine films for best picture.